While Matmata has enough to offer tourists in and of itself, what brings many foreigners to this desert-like town is the fact that it was one of the locations in Tunisia that George Lucas filmed some iconic scenes for the Star Wars film The Empire Strikes Back. 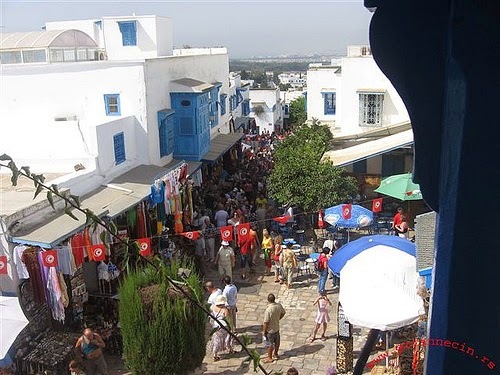 Fans of the franchise will surely not want to miss this spot during their stay in Tunisia. Scipio Africanus the Younger may have burned Carthage to the ground and had the earth salted to prohibit re-inhabitation, but modern Carthage, now a suburb of the capital Tunis, is a popular seaside destination. Despite the modern development, Punic and Roman ruins can be visited to gain insight into what life was like two millennia ago and this should be a day-trip for anyone in the vicinity. If Tunisia is your only stop in North Africa, then the Sahara must not be missed under any circumstances. ‘The Great Desert’ is the largest of the ‘hot’ deserts in the world, being nearly as big as the entire U.S. Even if not going on a camel ride or spending a night in a traditional Bedouin tent, a view of the never-ending mass of sand is a memory that will not be lost. While you will probably always be surrounded by desert in Tunisia, leaving any sign of civilization behind the horizon will emphasize the vast emptiness that this desert brings to a large part of the continent. This really is a land of intrigue, with a wealth of history waiting to be explored. Really enjoyed your article. Hope there were more information about Matmata.